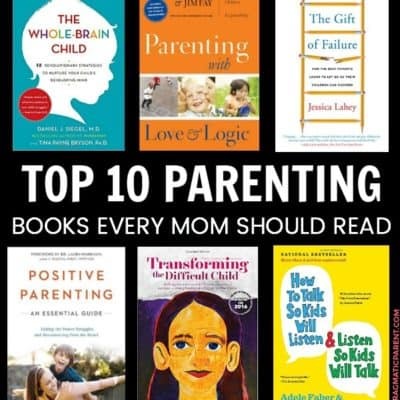 10 best parenting books for the parent focused on positive parenting, facilitating connection, positive parent-child relationships, understanding the developing child’s brain, gentle parenting, science backed parenting books & help with positive discipline. These top parenting books written by parenting specialists who are the leaders in positive parenting and science based parenting. I’m a researcher by nature and when something is off in our house, I have my small stack of parenting books I turn to for advice. I honestly believe, and in my experience have found, most parenting issues we come up against, often lead back to ourselves and towards a snag in our own parentage. We want to help and shape our children, but stuff of our own comes up and often gets in the way. The very best parenting books, once you sort through the ones that give up a top ten list or checklist of how to make things right in 45 simple steps, actually remind us how complicated parenting is and what our children need most is our presence, to be forgiving, kind, and better at listening instead of quick to react. Is realizing you must first of all, be these things to yourself in order to help you child and the situation. These are some of the best of the best parenting books that have through nearly a decade, helped me refocus on keeping a positive connection with each of my children, help to facilitate growth in myself and with our family, and have giving me an science-backed understanding of both my children’s behavior and my own. These positive parenting books have helped me gain invaluable insight to children’s developing brains and therefor I’m abel to understand their actions from the perception of my child, not as an adult which is invaluable to being empathetic and also forgiving. These methods of gentle parenting are wonderful for positive discipline, teaching children boundaries without shaming or harsh consequences. “Traditional” parenting tools don’t work with my strong-willed son and he pushes me often to stretch myself as his Mom and rise to meet his unique personality and needs. I always say that my son was born to me, to teach me lessons. Many, many lessons and these parenting books have become a staple largely because his love language is different than all my other children and he needs different communication and discipline tools. The best books I’ve found to effectively help him and our relationship are #5 and #6. If you’re in the same boat, these could become very well read in your house, too. When things begin to bubble up in our house and I need help or a refresher, these 10 books are the best parenting books around. 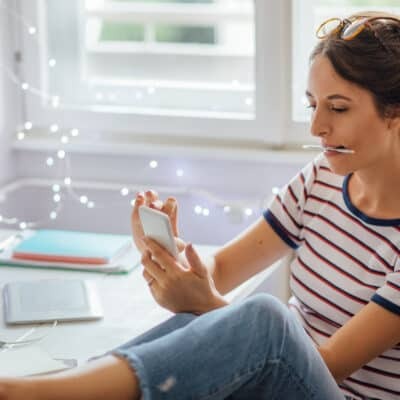 They all follow positive parenting methods and take a heart-centered approach to raising a happy family and being a connected and calm Mama, but are science-backed and not just fluff. I can’t say enough good things about these books, I hope they help you in your parenting journey as much as they’ve helped me along mine. These are my favorite, and the best parenting books to take you on your journey. 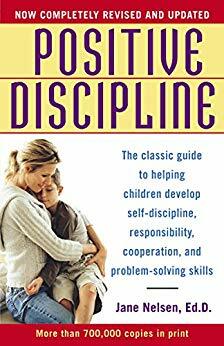 Positive Discipline is a positive parenting principle focused on having mutual respect and positive guidance. It focuses on seeing learning opportunities instead of punishing mistakes. Nelsen coaches parents and teachers to be both firm and kind, so that any child–from a three-year-old toddler to a rebellious teenager–can learn creative cooperation and self-discipline with no loss of dignity or feeling shame. This book is one you’re going to wonder why you didn’t read sooner. It backs everything up with neuroscience – knowing which parts of the brain are activated mid-tantrum or during anger, for example, can help you navigate how you respond or confront them. When your child gets upset, you should use empathy to make headway by connecting right brain to right brain. Then, once they are more receptive, you can redirect to the left brain by involving the child to make amends and find a solution, on their own or together. When your child gets upset, the upstairs part of the brain (the part where they can make decisions, have self-control and show empathy) is not available. Therefore, in order to connect, you need to wait for your child to calm down or help them calm down, before you try to rationalize with them. Pair The Whole-Brain Child with Daniel Siegel’s other book, No-Drama Discipline and you’ll have a better road map to handling tantrums, outbursts, back talk and other challenging behavior as your kids move from the toddler to school age years. The Gift of Failure focuses on the critical school years when parents need to take a step back and allow their children to experience the disappointment and frustration that occur from life’s inevitable problems so that they can grow up to be successful, resilient, and self-reliant adults. When kids experience failure, it gives them the opportunity to learn to solve their own problems. Especially today in the modern world where studies show grow adults are unprepared for the world and their parents still do laundry, cook, clean and schedule appointments for them… this is practical and important advice to helping your child grow up to live in a world where they can navigate it confidently on their own. Lacey gives you a blueprint with advice for how to handle homework, report cards, social dynamics, and sports. Most importantly, she sets forth a plan to help parents learn to step back and embrace their children’s failures, as hard as that may be for you to do, you’ll soon see how important it is. Sure, parenting books are usually about parenting your children, but this book takes the focus away from kids and put it right on the parents. New York magazine writer Jennifer Senior looks at the many ways in which having children reshape their parents’ lives, whether it changes a marriage, their jobs, their habits, their hobbies, their friendships, or their internal senses of self. Senior writes in All Joy and No Fun of the ‘experiencing self’ vs the ‘remembering self’, and this notion can be freeing for many parents; liberating you from the constant parenting guilt of sacrificing yourself and your time for your child. I have to include this parenting book on my list of best parenting books because it’s gotten me through a couple of intense years with my son, who, bless his heart, rises to every challenge and pushes me further than anyone in my lifetime ever has. Raising Your Spirited Child is a helpful parenting book for anyone with a child who is just a little bit more and likes to test your resolve. It’s all about practical parenting strategies to handle big emotions, big temperaments and big situations. The book talks about the intensity of parenting a spirited child affects the way you parent, but how to keep from being discouraged with the intensity of your relationship. Full of positive language and perspective, it helps you see your child as not stubborn, but tenacious. My copy of this book has worn edges and a torn cover, if that says anything about how many times I’ve read and re-read all the helpful information inside for my intense son. The book, Transforming the Difficult Child is a must-read for parents with intense children (and all children) as as way to help treat children labeled as difficult, or challenging, by giving you strategies to help them channel their energies in inspiring ways – always with love at the core. You’ll have actionable ways to shift negative behavior, build upon your relationship and help your child thrive. Lansbury’s approach to parenting and handling difficult situations, is that we should treat children with respect, and, whenever possible, do our best to meet them where they are. She uses respectful and caring responses to handle situations and doesn’t use the time out approach. As the title of her book suggests, everything she offers is to avoid shaming your child. No Bad Kids will teach that lectures, emotional reactions, scolding and punishments do not give our toddler the clarity he needs, and can create guilt and shame, but gives you real-life examples of what to do instead. The book covers such common topics as punishment, cooperation, boundaries, testing, tantrums, hitting, and more. It’s a helpful guide for the critical years when toddlers are developmentally obliged to test the limits of our patience and love. Child psychiatrist Daniel J. Siegel, M.D., explains the extent to which our childhood experiences shape the way we parent, no matter how much we want to deny it does. Even for those who have had an wonderful childhood, they may still have unresolved issues preventing them from optimal parenting. 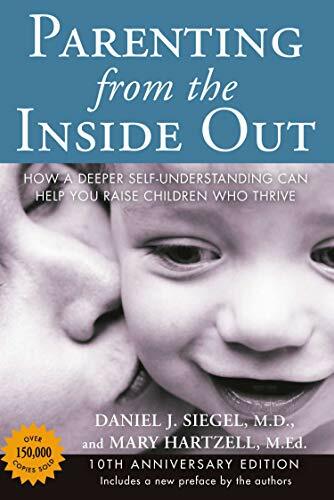 Parenting from the inside Out uses neuroscience findings and attachment researches to help parents make sense of their life stories, and deal with day-to-day struggles in better ways. Age-appropriate strategies to everyday challenges and also shows you how “brain integration” can help children grow and thrive. Dr. Laura Markham is one of the most popular and recommended parenting experts out there. Her book, Peaceful Parent, Happy Kids helps parents understand the importance of having a strong connection with their toddler and focuses on problem-solving and not punishment. Markham talks about how the parent’s mental state greatly affects their children. For example, if you yell at your child, expect that your child will yell. If you want to have calm, respectful and kind children, they learn this from their parents and you need to work on yourself first. The book will walk you through many common parenting situations such as your toddler not listening or following directions. 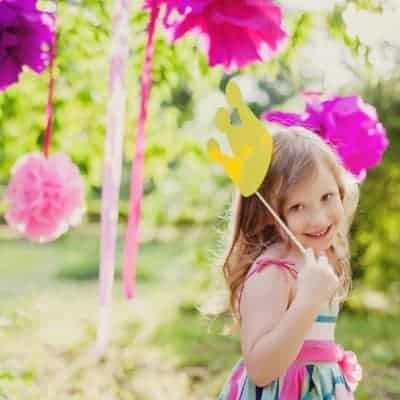 You’ll have a better understanding of children’s behavior and what’s going on inside, so you can forge a strong connection for better behavior in the future. 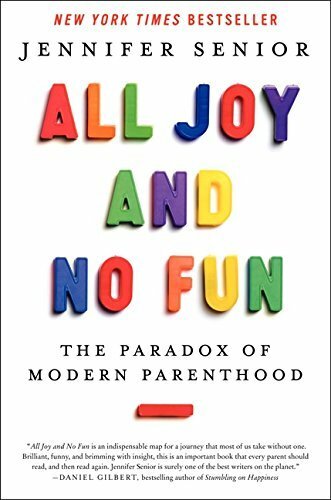 This was by far one of the most recommended parenting books by both friends and parenting experts, and one book I still reference all the time. It’s all about using gentle solutions to deal with behavior and discipline problems in a calm way. I’m a mother of an 11,9 and 5. They don’t listen when I say clean up or do your chores. I’m also not very patient so I tend to yelling a lot. What book should I read to help us all out so we don’t yell, fight and complain all the time. If you’re more into the science/development side of things, I loved reading the Whole Brain Child. I felt like it thoroughly explained the “why” behind many common behaviors.